Hanoi, Vietnam – Dressed in the traditional Vietnamese long gown known as “ao dai”, dissident artist Do Nguyen Mai Khoi holds up a banner in a silent protest amidst the roar of traffic in the capital’s Old Quarter. The signs reads “undemocratic regime” but features the images of Mark Zuckerberg and Sheryl Sandberg, of Facebook, and Eric Schmidt, of Google – rather than of those leading Vietnam’s ruling Communist Party. “I don’t criticise people in the government. I only criticise the system,” Mai Khoi said. The 35-year-old singer-songwriter said she does not want to be accused of spreading “anti-state propaganda” and handed a lengthy prison sentence like others who have criticised Vietnam’s leaders in the streets or online. After police signalled to her to end the demonstration or face arrest, Mai Khoi folded up her banner and moved it to Hanoi’s Long Bien Bridge. There, in a comment to media, she accused Facebook and Google of acting as dictatorships for cooperating with Vietnam’s government in removing critical content. Vietnam is a one-party state controlled by the communist party since it was reunified in 1975. Home to some 95 million people, the country has more than 60 million Facebook users. Political activists and dissidents use the platform to discuss and share materials on issues such as human rights and democracy – risking being arrested and charged with spreading anti-state propaganda. Under the new cybersecurity law, which was approved by legislators in June, the Vietnamese government has ordered US tech giants Facebook and Google – among others – to store its user data at offices inside the country. Vietnam has given the tech companies until 2020 to comply. Nguyen Xuan Phuc, the Vietnamese prime minister, has stated that his government’s policies are promoting innovation and connectivity. Vietnam’s Ministry of Public Security (MPS) has reportedly said the law’s enactment is “essential” as it will protect the country from increasing large-scale cyber attacks that result in serious economic losses and threaten its security and social order. In a statement in November, the ministry said “the draft decree guiding the enforcement of some articles of the Law on Cyber Security does not run against the international agreements and conventions that Vietnam is member to”, citing comments by Major General Luong Tam Quang, director of the office of the MPS, during a press conference. But the Asia Internet Coalition, the industry body representing both Facebook and Google, has said the new law “raises serious privacy and civil liberty concerns for the people of Vietnam and stands to significantly damage the country’s economic growth prospects” by resulting “in severe limitations on Vietnam’s digital economy”. Critics also say the new law would allow the government to better monitor what is being said about it online, and arrest dissidents sharing “anti-state” material. Phil Robertson, deputy Asia director for Human Rights Watch, told Al Jazeera that Vietnam’s cybersecurity law is a “disaster” for freedom of expression. He went on to say that the country is seeking to extend its control of what’s being said about it on traditional media to social media. Thirteen Vietnamese civil society groups meanwhile have signed a petition called Save Net asking the Vietnamese government to repeal or revise this law. “Facebook doesn’t show what it’s doing to protect freedom of expression. It has recently locked activists out of their accounts and deleted their posts,” Mai Khoi said. “YouTube has even removed my song, We Want, and now it can’t be viewed inside Vietnam,” she added, referring to the video-sharing website owned by Google. The musician’s fight for freedom of expression in Vietnam began 10 years ago when she became a celebrated pop star – her hit song, Vietnam, won her many accolades. But she went on to use her newfound fame to push for creative freedom and started writing music about the issues close to her heart, namely the growing use of social media and concerns over human rights. Mai Khoi stopped submitting her lyrics to censors and her performances were effectively banned as police made it known she had been blacklisted. In 2016, Mai Khoi joined street protests against an environmental disaster caused by Formosa Ha Tinh Steel Corporation, a Taiwanese company operating in central Vietnam. Vietnamese police have often been accused of cracking down harshly on protesters, and Mai Khoi says that the violence she witnessed being used by the authorities in that demonstration affected her deeply. She even wrote a song about it. That same year, Mai Khoi nominated herself as an independent candidate for Vietnam’s national assembly. This raised her profile with Vietnamese Facebook users as she campaigned primarily on the platform. 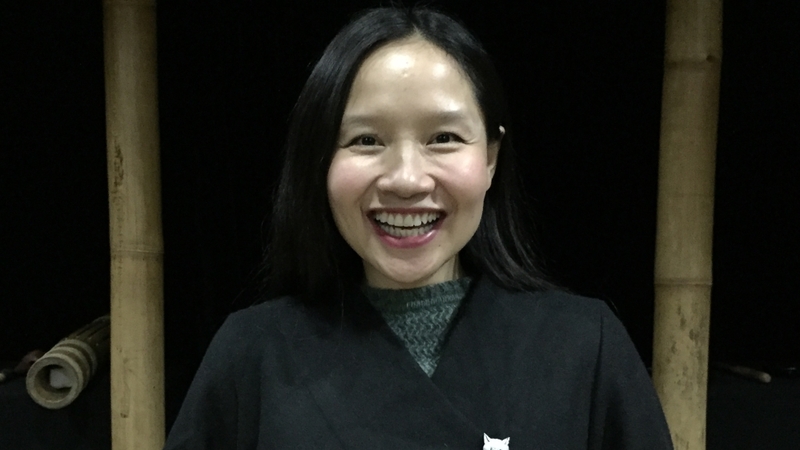 Faced with difficulties in performing inside Vietnam, Mai Khoi travels frequently abroad. Many believe it’s only allowed because of her high profile and to stop her from doing so would reflect poorly on Vietnam. In 2018, Mai Khoi returned from a tour in the United States where she shared her story at the Oslo Freedom Forum in New York City. Many Vietnamese dissidents are either in prison or placed under a travel ban by the government. According to the 88 Project for Freedom of Expression in Vietnam, there are currently 210 political prisoners with another 19 in pre-trial detention. “I have no chance to go abroad or to attend any international meeting, so I’m happy if Mai Khoi can raise her voice outside of Vietnam for someone like me,” said Vietnamese human rights activist Chi Tuyen Nguyen. Mai Khoi’s new album is titled Dissent. She named her band The Dissidents but they soon realised that this would cause them more problems with the authorities and changed it when the album was released in 2018. “We decided to change because their families didn’t want them performing under that name. In Vietnam, dissidents are talked about on the news like they’re enemies of the state,” she said. Inside Hanoi’s Phu Sa Lab theatre in upscale West Lake, Mai Khoi has started to perform weekly with her band. This is the only venue in Vietnam where the owner is willing to stand up to the strong-arm tactics of police. The group’s show, Bamboo Talk, blends theatrical performance with experimental jazz music. But the highlight of the show is Mai Khoi’s vocal range along with her traditional instrument and white ao dai outfit as she’s the only woman in the all-male cast.